Amazon’s Alexa is changing the way people manage their day. Alexa Skills are voice-activated commands for your virtual assistant. Skill categories include productivity, business, finance, news… and a whole lot more! In addition to already available Skills, you can custom design Alexa Routines, which are multi-step tasks, to help you manage your day-to-day business and personal needs. 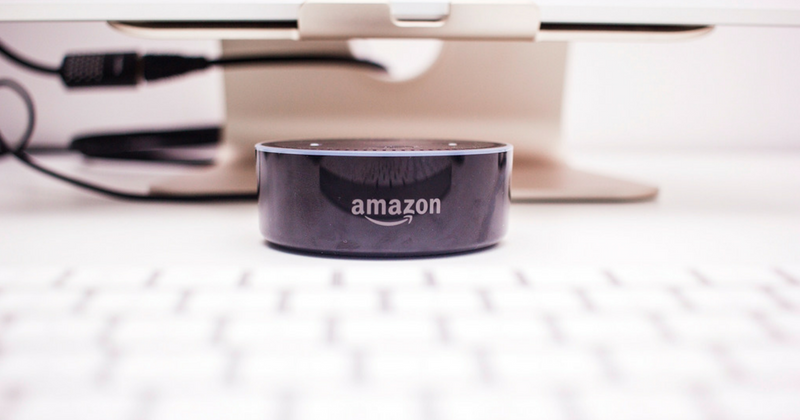 More and more 3rd party vendors are integrating with Alexa, such as collaboration tool, security systems, banks, online shopping sites, media… and many more! If you think Alexa is just a fun gadget to find out the weather or turn your lights on and off, think again! Amazon Echo’s voice-activated virtual assistant Alexa is a #musthave for salespeople, entrepreneurs and small business owners! Alexa frees up your time, makes you more productive, can save you money and even get you motivated! Alexa Skills – aka apps – provide more features and capabilities and can do many functions you used to do manually – or hired someone else to do! By designing specific Routines, you can save even more time by combining multiple tasks into a single voice-activated command. Ready to get started? Here are 25 Alexa commands to change the way you manage your day and increase your efficiency. Companies and businesses build more Alexa Skills every day, so check back often for new ways to manage your day – you can also sign up for one of the many Alexa newsletters, or just ask Alexa: Alexa, what are your new skills?